There’s more behind a clock dial than meets the eye. All have subtle differences, more so in the mechanisms. And much like their buildings, when getting old clocks need more looking after. 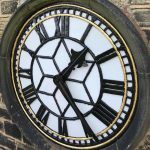 Since 1856, Smith of Derby has come to know thousands of public clocks quite intimately, whilst their new generation of clockmaking apprentices hone the skills essential to keep them ticking. Behind Smith’s name is a history of partnerships. William Potts of Leeds dates from 1833; James Ritchies clocks have graced Scotland’s landmarks since 1809, and J B Joyce began in Shropshire in 1690. Putting their years of experience end-to-end, our 20 or so clockmakers stretch further back in time than 1690. This seems like a record that no-one else will ever match. Our company was founded by an apprentice, John Smith, whose descendants still own our company. To this day, were thrilled to run our apprentice and training programmes in partnership with Chesterfield College. We work closely with specialist companies such as stonemasons, architects and designers to deliver projects of the highest quality, many of which push the boundaries and innovation to the limit. Martin Butchers, our South Technical Sales Manager says: “Every job we tackle is different. The two dials we restored for London’s Royal Academy are on separate towers, one indicating wind direction from the vane above. 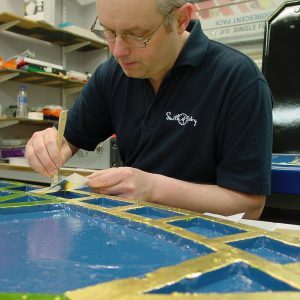 We were trusted with conservation of the original gearing and to replace like-for- like the pot opal dial glazing.” “When we came to renovate the windvane itself, parts had almost weathered to nothing” explains our fabricator Ian Inglis. 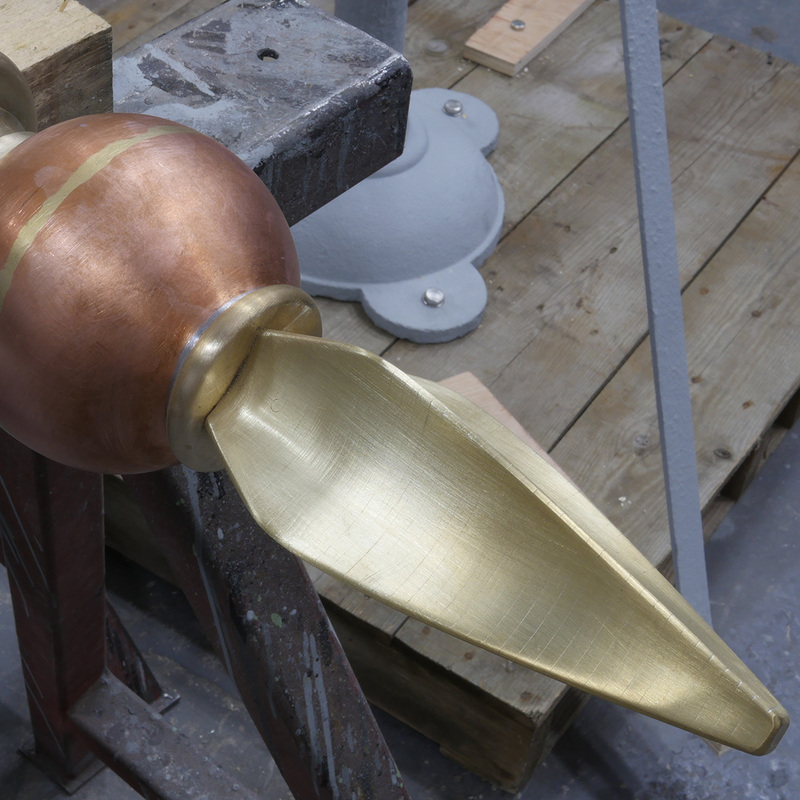 New profiled brass was hand- shaped to restore this example of architectural art ready for another 250 years. Heritage is not just about Age of Enlightenment architecture. 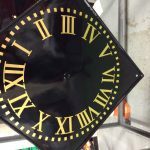 William Potts were commissioned to rebuild the Art Deco clocks on the Heritage Lottery funded restoration of the Co-op building in Newcastle. As at the Royal Academy, dials are on two towers. 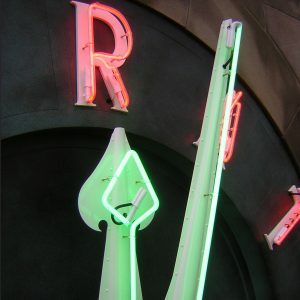 The clock and barometer are aglow with dazzling neon by night. We engaged neon specialists to form and fit the delicate high voltage tubes, whilst we engineered slip rings on the mechanisms to light the hands. Now a hotel, the building is once more a welcoming landmark. The origins of clocks may be lost in the mists of time, but they derived from mechanics which rang an abbey bell – hence ‘cloche’ or clock. Church clocks are still the backbone of our work, with St Davids Cathedral being just one. J B Joyce built the clock in 1870 as part of a cathedral restoration, but by 2014 the cast iron dials were cracked and corroded. Full workshop repairs included stripping away all the old paint, welding and galvanic zinc coating. The elegant dial and Joyce pattern hands (all clock makers were proud of their individual styles) were re-gilded in best quality 23 1/2 carat gold leaf. “There are plenty of gold finishes on the market, but for sheer brilliance and longevity, gold leaf can’t be beaten” – Phil Dickinson, Head of our Finishing Department. Hiding in our local museum was Derby Guildhall’s original clock mechanism and its restoration is a perfect project for our three clockmaking apprentices. 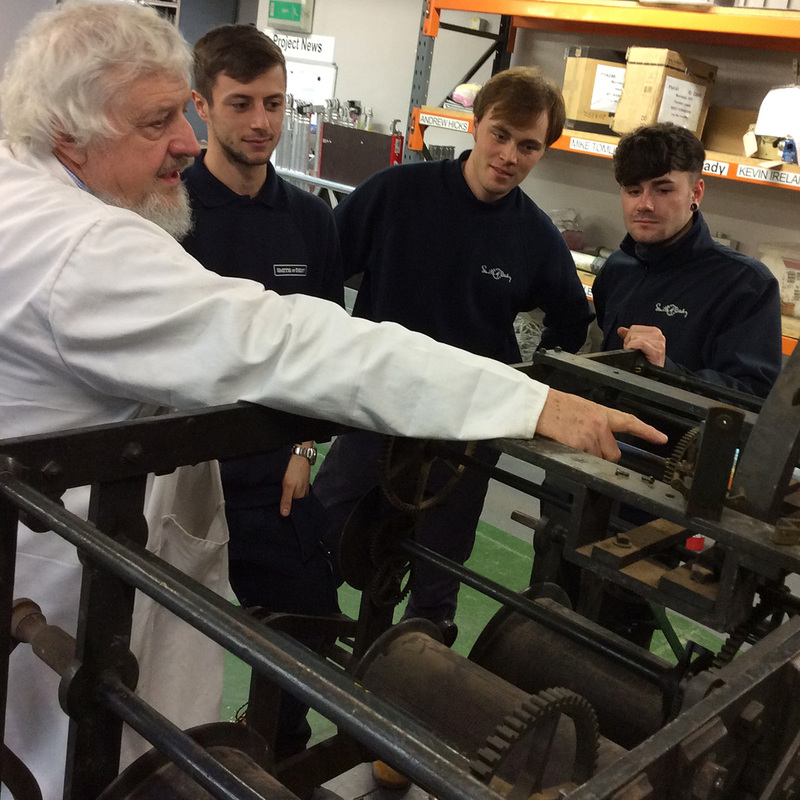 Under the guidance of Turret Clock and Harrison Specialist Chris McKay, our apprentices will conserve and rebuild it to working condition before re-installing it at Derby Silk Mill. The Edinburgh Floral Clock, the first of its kind, was built by James Ritchie of Edinburgh in 1903, using recycled mechanism parts. 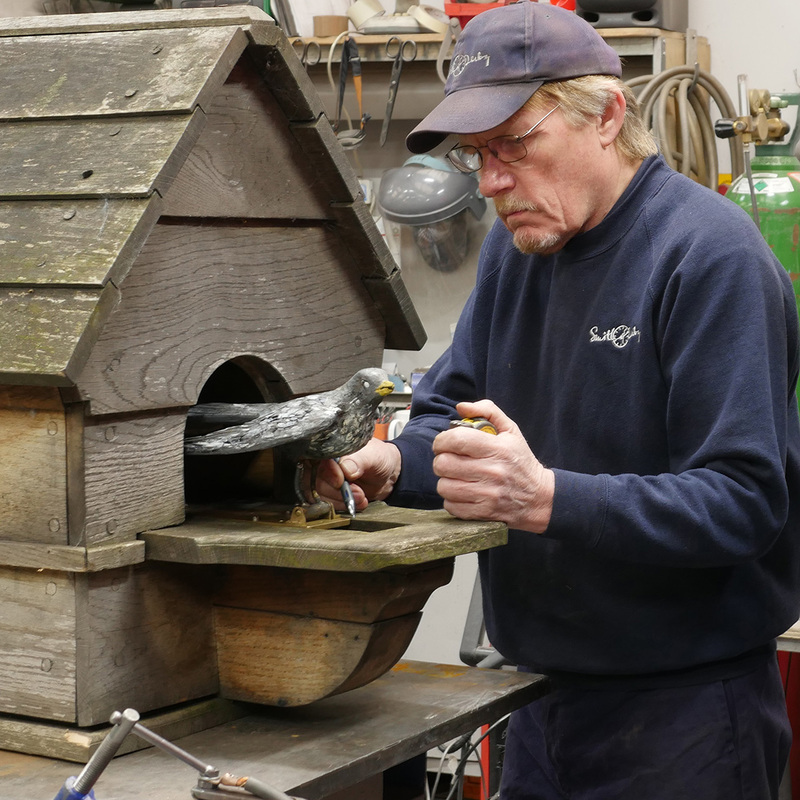 In 1953 they added the cuckoo who had run short of breath by Autumn 2016 and migrated to our Derby workshop for a full rebuild.